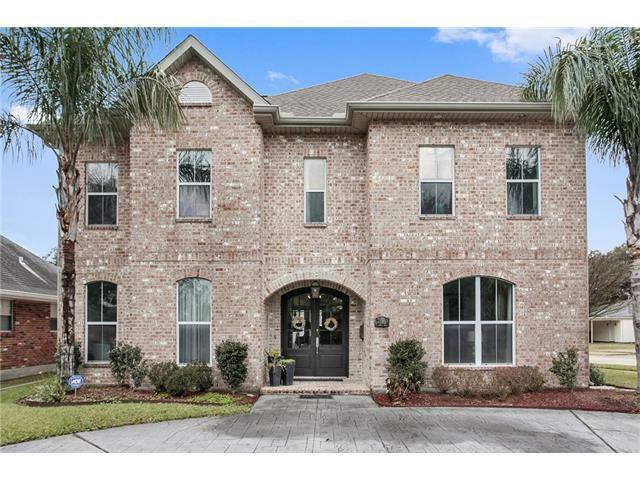 Elegant four bedroom, 3.5 bath home offers decorator touches throughout. Hardwood and tile floors, ten foot ceilings downstairs, beautiful quartz island in kitchen as well as a six burner Viking range and hood.. Open floor plan highlighted by architectural lighting fixtures. Master bedroom suite downstairs with view of yard. Whole house surround sound. Detached shed with electricity. Pressed concrete driveway, fenced corner lot with rear yard access.built in 2005, renovated 2015.This is a must see! Listing provided courtesy of Linda R Martin of Gardner, Realtors.